Ward & Burke were awarded a contract to construct 4 No. concrete caissons and 225m of 3000mm OD microtunnel for the Burbrook Trunk Sewer Project. Tunnel No.1 was 175m in length crossing underneath 22 No. live rail lines. Tunnel 2 was 50m in length crossing under 2 No. live rail lines. Both crossings were completed with 7m+/- cover, (from ground level to crown of pipe) with negligible settlement to the rail lines, the alert level for settlement was 5mm, which was not reached during or after tunnelling was completed. Both tunnels were tied-in to the existing storm pipe lines and permanent manholes constructed in-situ. An original attempt to cross rail lines using open face tunnelling equipment and dewatering failed a number of years ago due to geotechnical conditions, with basements flooding in the interim. 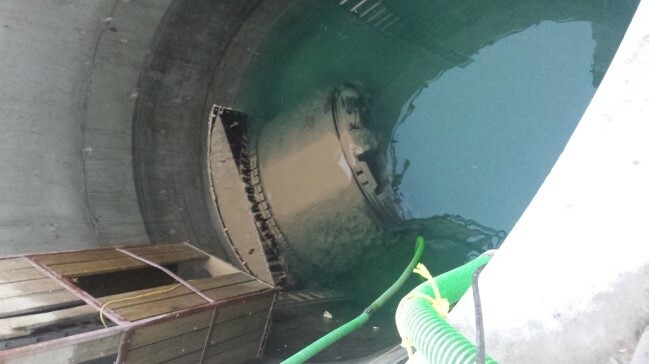 The contract was redesigned and specified as microtunnelling 10 years later to overcome the ground conditions. Project Sites were located in very tight areas, and required several advance utility diversions in order to permit construction to take place. Microtunnelling was undertaken on a 24/7 basis, the first microtunnel drive took 6 days to complete. The Client adopted Ward & Burke’s risk mitigation approach and utilised the tunnelling shafts as permanent structures for the subsequent network tie-ins. 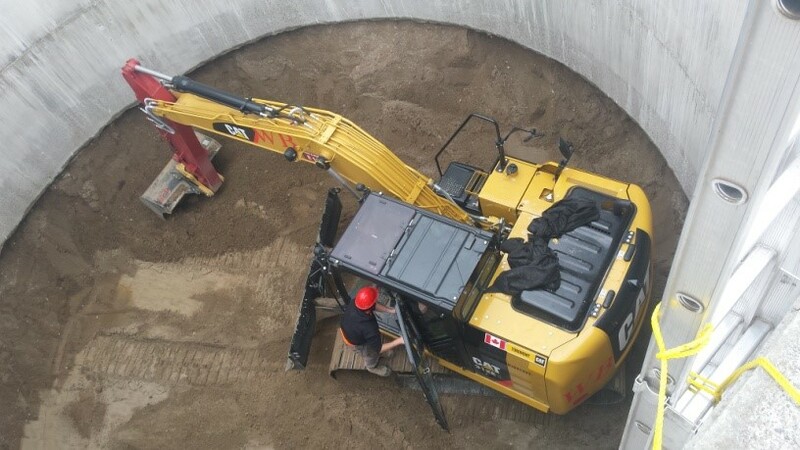 This was the first successful application of a 3000mm OD Microtunnel Pipe in Ontario. Ward & Burke utilised the “wet” reception approach in order to ensure zero ground loss at the reception shaft during the breaking through of the MTBM into the shaft. We have extensive experience in the use of this method. Ward & Burke developed a unique caisson shaft locking system to ensure that the caisson sank to the correct design elevation.